As your organization rises to the challenge of addressing new technologies (such as digital and mobile payments) with new methodologies (such as Agile and DevOps), you can benefit exponentially by choosing a single robust web-based solution for all your enterprise payment testing needs. Automation lets you run more tests in less time, and quickly customize existing tests to extend your test coverage. Cloud-based technology eliminates software distribution issues, provides central control of world-wide user access, makes updating and distributing test cases faster and easier, and eases collaboration between all your testing resources. An API unlocks previously silo-ed testing content for incorporation into your enterprise data integration strategy. Your organization can depend on the Web FASTest platform to deliver the automated payments testing and message verification you need today, and empower your developers and testers to build the tests you need for the future. Your Agile developers may be working toward an integrated DevOps environment that includes continuous testing with each software change. Web FASTest is a robust automated testing solution offering an API that eases integration with your other systems. If your organization has not moved to continuous integration testing, your developers and testers can still benefit from Web FASTest’s automated testing through systems such as Micro Focus ALM (Application Lifecycle Management), HP Quality Center, or others, enabling scheduled runs of automated tests. In both environments, Web FASTest lets you run more tests faster and provides a framework for expanding your testbed for increased test coverage. Your organization may be dealing with an assortment of several vendor-specific or application-specific test tools, installed in locations scattered across your organization, each requiring specific training and regular software updates. 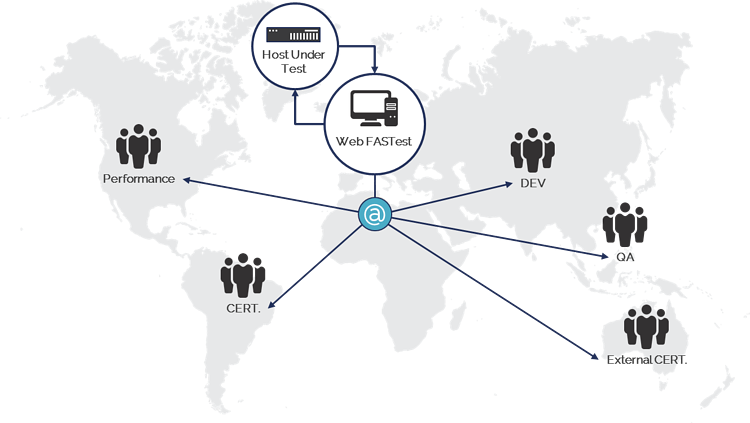 Web FASTest provides the testing you need across your enterprise via one web-based solution. Web FASTest enables automated payments testing: regression testing, functional testing, and stress testing by your QA or development teams; settlement testing (by generating offline data files) by your Operations testers; fraud testing; as well as self-certification or network certification testing. If needed, VirtualATM extends Web FASTest to provide ATM testing using virtualized versions of your open-architecture (XFS) ATMs. Using a single solution offers centralized control of all your user and test data; reduced training and overhead; and provides users with faster, easier access to updated test cases through the web. Testers in local test labs once fought for test time and lab space, and now your distributed workforce means maintaining an adequate “local” lab is even more challenging. No matter if your users are down the hall or across the International Date Line, they can test through an Internet or Intranet connection with Web FASTest. Remote developers and QA testers are no longer limited by the equipment or test time available in a test lab. Using Web FASTest virtual cards and terminals, testers can test on demand, 24/7, without contention for test lab resources. User roles and controlled read/write access means you control which users can view and edit any test data. Your onsite test experts can choose to build some generic tests for all users, as well as build customized tests that are accessible only by specific IDs. Web FASTest Virtual Host offers the ability to match testers and tests by other criteria, such as terminal ID or merchant ID. No software is distributed, installed, or managed at remote sites. Need to add a new transaction or terminal type? Make the changes in Web FASTest and your changes are immediately available to your remote users—no need to update dozens of remote PCs. Centralized management increases the reliability and validity of your remote users’ tests. We’ve been very pleased with the Paragon products and their capabilities. So pleased, in fact, that we don’t feel the need to search elsewhere. 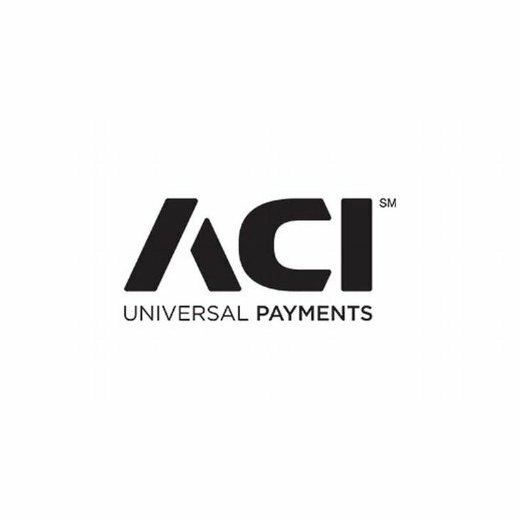 Many ACI technicians and customers find Paragon’s products invaluable for use during testing. When a company consistently provides solid products, stays involved in the industry, and offers exceptional customer service as Paragon does, it’s not surprising when it is successful. Paragon’s Support team is always available. If I had to rate my experience with Paragon employees and products on a scale from 1 to 5, I’d give them a 5.